We’ve enjoyed playing this art card game as a family the past few days. 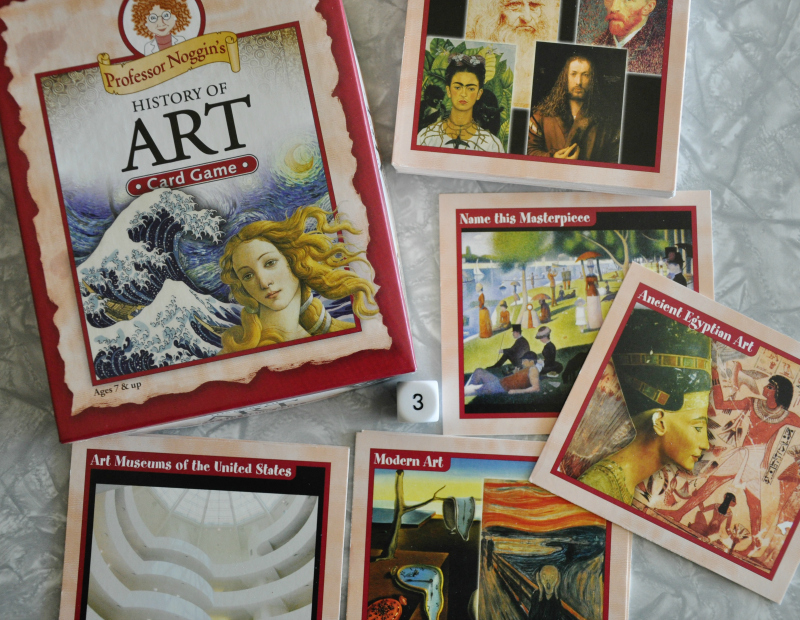 It is a simple trivia game for 2 or more players, and it covers ancient art through modern art (including art movements and eras, painting materials and techniques, famous artists and masterpieces, architecture, and art museums). 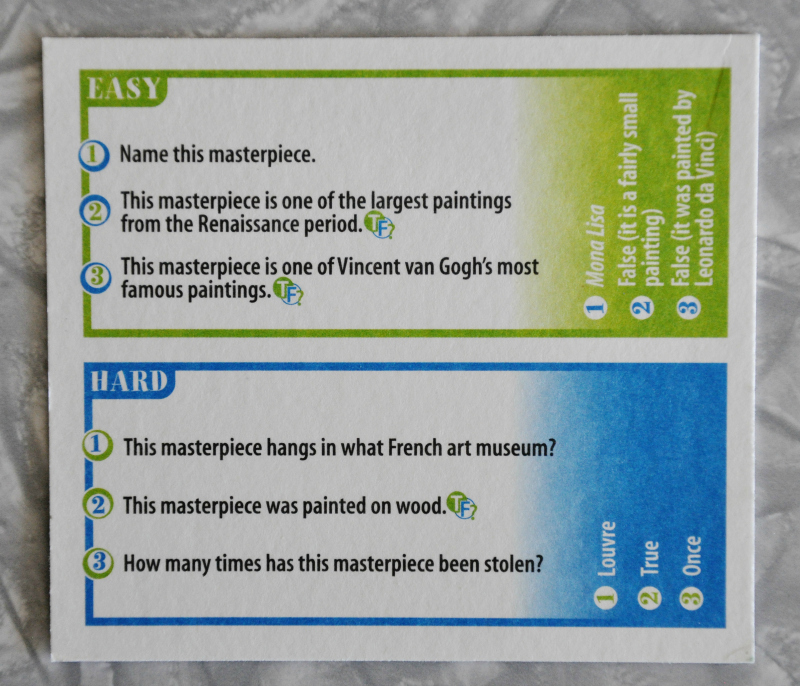 The game includes 30 sturdy art cards and a die that corresponds to the questions on the back of the cards. There are two levels of questions, which makes it easier to play the game with a wide range of ages. Players take turns asking each other trivia questions. If the other player answers the question correctly, they add the card to their collection. If not, the answer is read aloud and the card returns to the bottom of the pile. We are looking forward to adding more of the huge selection of Professor Noggin Games to our collection. I can’t decide between Professor Noggin's Wonders of Science and Professor Noggin's History of the United States, so we might have to get them both. These games are great for around the dinner table fun. I am a huge fan of delightfully illustrated non-fiction picture books. About Time is a fascinating look at the history of timekeeping, from Ancient Sumerians in 3500 B.C. to Albert Einstein in 1905 and Daylight Saving Time in 1915. 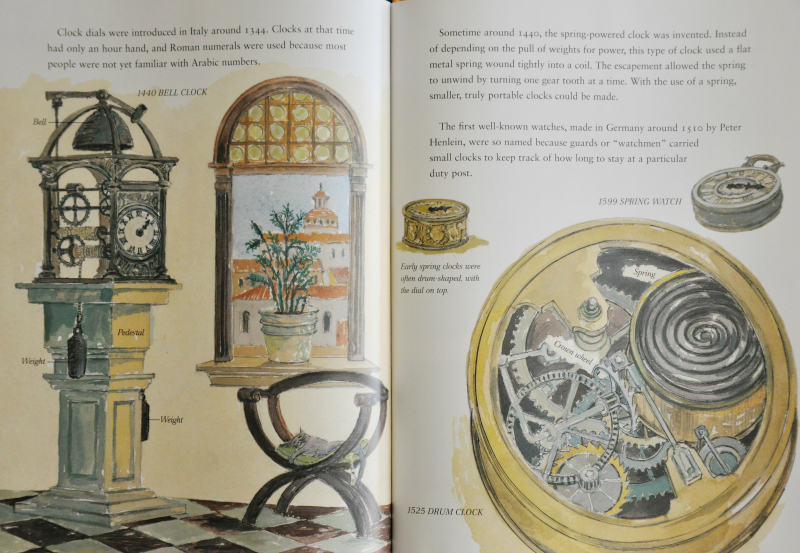 The reader learns about how time is defined and measured, as well as different types of “clocks” such as obelisks, sundials, water clocks, Chinese astronomical clocks, sand-pouring clocks, and so much more. 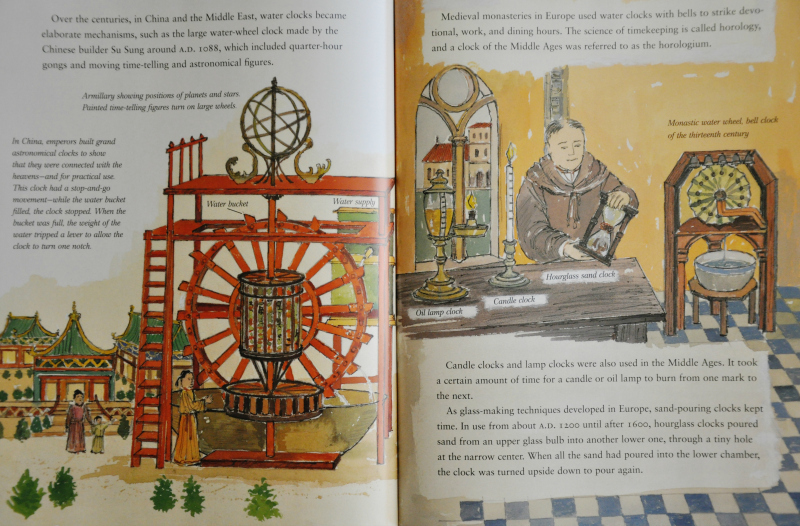 History, math, science, cultures, and mechanics are all integrated in this lovely book. If you or your children enjoy this one, you may also enjoy The History of Counting, as well. In a similar format, readers learn about the history of counting numbers across time and cultures, which I find fascinating. Don’t judge this one by the cover (it doesn’t appeal to me). The interior illustrations are well-done. I was waiting for something eloquent and profound to come to me, words of wisdom to share with the masses. But honestly? I don’t have it in me today. Because some days are simply hard. Like when you’ve been sick for more than two weeks with a nasty lingering cough, and you should be on the mend, and instead you spend 10 hours in the fetal position on the couch, your very hair follicles hurting, until you slowly shuffle to bed at 8 pm. That day, after 15 pretty good days of eating Paleo, you eat nothing but a couple Ritz crackers and a slice of marionberry pie. And the house painters finally return to your house to begin finishing up after months of a half-painted house, just when you had decided you didn’t care [twitch] about the caulk marks on the paint right by your front door, and the boys start fighting next to that fresh paint, get it on their hands and coat, and now you have gray paint smudges on your white bathroom door instead of white smudges on the gray paint by your front door. Or the next day, when you are able to stand up long enough to take a shower, you think “today’s going to be better.” Until your son tells you he has swept the kitchen floor and it still looks like it hasn’t been swept for weeks. Or another son tells you he has cleaned his room, and what that really means is that he took a couple weeks of clean laundry that never got put away and put it back in the dirty laundry basket which is overflowing because you haven’t done it for two days. Or you think to yourself, “Hallelujah, Lola is actually playing quietly and independently for a few minutes,” even though you know, you KNOW this is never EVER a good thing. No matter how awful it is when she won’t play independently, it is infinitely worse when she does. Because that means she shaves off her eyebrows, completely. Or cuts her tongue and wipes the blood all over her shirt and your towels. Or chops off her hair. Or dumps cups full of water in her room. Or bottles full of soap. Or, this day, covers many, many surfaces with bright pink nail polish—herself, her bed, her clothes, her beloved kitty, and her carpet. :: McKenzie is my own little neighbor. Her mom is a friend of mine, and I’ve been following her story since the day she went into the hospital just before Christmas and her 7th birthday. She and her family have a long, hard road in front of them. Please keep them in your prayers! This isn't only relevant to the addicts I love. It is relevant to all of us, because it forces us to think differently about ourselves. Human beings are bonding animals. We need to connect and love. The wisest sentence of the twentieth century was E.M. Forster's -- "only connect." But we have created an environment and a culture that cut us off from connection, or offer only the parody of it offered by the Internet. The rise of addiction is a symptom of a deeper sickness in the way we live -- constantly directing our gaze towards the next shiny object we should buy, rather than the human beings all around us. :: New Research Discovers That Depression Is An Allergic Reaction To Inflammation @ Feel Guide. Speaking of your neighbor struggling with loneliness… It is likely you have neighbors with depression as well. Be kind. Take the time to love and encourage the people who cross your path as you go about your week. The second morning, Levi and I worked on sorting the ANI chart and writing parallel proofs. The third morning, we talked through the exordium and amplification and typed up the essay outline. Again, we’ll have more time for these tasks and discussions for the upcoming literature selections as long as we are prioritizing our morning meetings each day! The forth morning we turned the outline into a basic persuasive essay. For a perfect ending to a great week, we attended a local play production of The Secret Garden with a total of 35 of Levi’s classmates and family members after we all enjoyed a potluck dinner together. There is so much to be said for educating our children within a community. I love these people. Here is our outline, for those of you who might be interested! B. [Thesis] Archibald Craven should not have purposefully stayed away from his son, Colin. 1. [Thesis] Archibald Craven should not have purposefully stayed away from his son, Colin. 2. [Why] Children whose honorable fathers are present and have a relationship with them have a better chance at living a happy, healthy life. 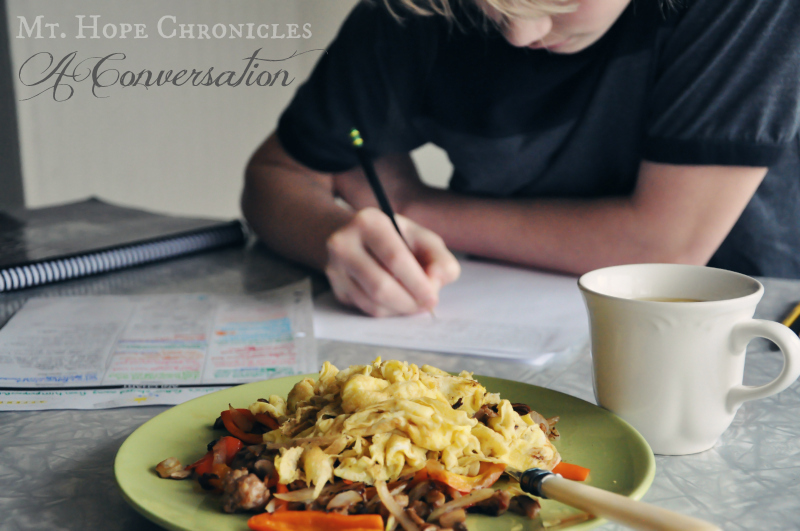 After Levi expressed his frustration over his Lost Tools of Writing assignments, I promised him that we’ll do that subject together, every day, first thing in the morning. A liberal education is not for the purpose of productivity but for the purpose of making minds free. I can believe that with every cell of my body. But I am also human. And a mother who has a lot on her plate. And I’m lazy. And impatient. I like either having nothing to do, or doing something quickly and having something to show for the work. But this educating our children and ourselves, it is not easy, and it is not a sprint. It is a marathon, a life-long labor of love. In our rush for output, we skip the difficult, nonquantifiable but essential step of contemplation and hurry along the quantifiable products of filled-in blanks on a worksheet or, count them, 30 items in each column of the ANI chart. We succumb to the pressures of schedule- and productivity-based educational goals. I had been using the Lost Tools of Writing as a worksheet and writing program, but I was wrong. The Lost Tools of Writing is a program that teaches students how to think. I KNEW this. But I had forgotten. The problem with thinking, or contemplation, is that it takes time and a willingness to set aside time-limits, to set aside the to-do list, to set aside the expectation of a product, to set aside all the trivial distractions in our physical space and in our minds. And, for those of us (me) not accustomed to focused, structured contemplation, it is difficult. If it is difficult for us as adults, how much more difficult must it be for a thirteen-year-old boy?! And if we cannot spare the time and energy to model the process and value of contemplation, how will our children and students learn; will they believe us when we say it is important? The Lost Tools of Writing is also the opportunity to talk about big, formational ideas with an adolescent—indirectly (not about their own decisions), without lecturing or moralizing. It is the opportunity to educate relationally. It’s the “How to Talk with Your Teenager” program. And it’s GOLD. This is what I discovered yesterday morning, during a two-hour un-rushed conversation, while we enjoyed each other’s company and ideas. True leisure. I began by sharing with Levi the benefit of creating an issue and an ANI chart (more about those in a minute for those of you not familiar with Lost Tools). 1. Think about and understand a story more deeply, and return to the text to remember more details. 2. Think about and know a character more deeply. 3. Think about and understand human nature more deeply, which should make us more empathetic. 4. Think about and understand ourselves, our nature, and our own decisions more deeply. 5. Practice making better decisions, and learn to use an ANI chart when faced with big decisions. 6. Learn to study the other side of arguments for clearer (unbiased) thinking, reasoning, and debating (which will be particularly helpful for policy debate in Challenge I). With Lost Tools of Writing, the student chooses a “should question,” which he then turns into an issue on which he writes a persuasive essay. In Classical Conversations Challenge A, students have assigned books to read (10 books in 30 weeks) from which they pull their issue. 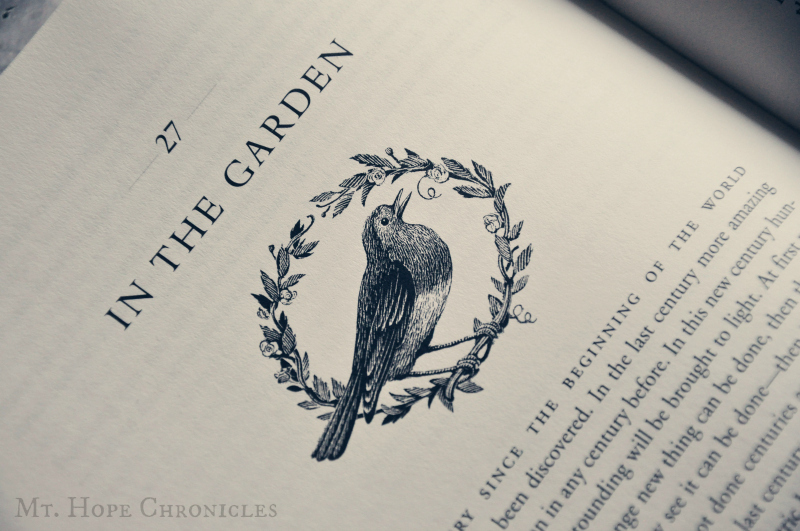 This month (the first weeks of the second semester), students read The Secret Garden by Frances Hodgson Burnett. Students then create an ANI chart—one column for A (affirmative reasons), N (negative reasons), and I (interesting statements or questions about the story that do not seem to fit in column A or N). This is often when the instinctive, impulsive “of course he shouldn’t have” or “I don’t know” statements begin. Or the tedious torture of wringing blood from a rock and finding 30 reasons to place in each column. But, BUT, the student is given TOOLS, and those tools are called the 5 Topics of Invention, which is the first cannon of Rhetoric. Essentially, they are five categories of questions to ask (about anything!) to help a person think—structured brainstorming, really. These tools can help eliminate the spontaneous reactions (of course he shouldn’t have done it) and the empty head (I don’t know, I have no idea, where do I even start). They are tools of inquiry to gather an inventory of facts and ideas. They promote focused, organized, interactive thinking. They are conversational. Levi and I started out his school year together. 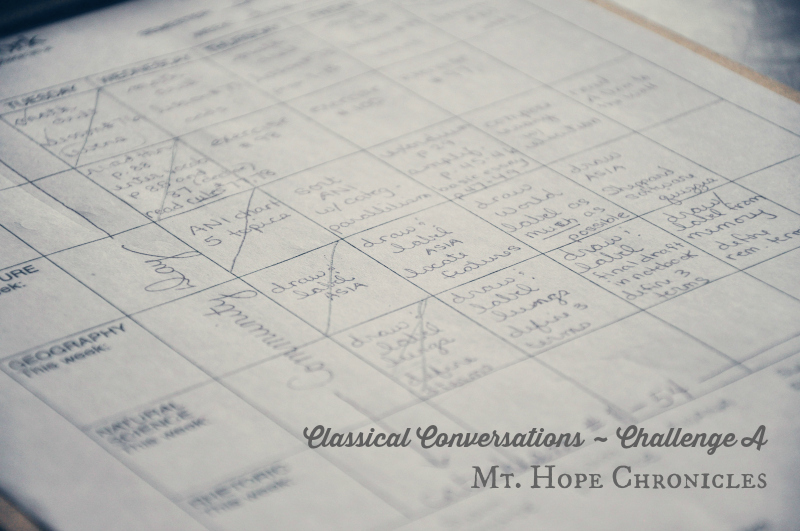 We did most of his Classical Conversations Challenge A lessons together for the first few weeks. I made sure his schedule and to-do list was written out and checked daily. And then we both got distracted. Other children do live at this house. And they need attention and education occasionally. I have things I need to do. And teaching an adolescent can be frustrating. So procrastination happens. Oh, he can do this independently. He should be able to do that independently. Just let him get started on math, and he’ll figure out how to complete the rest of assignments as well. If he’s going to fight me on that, he can do it on his own. Math, well, that’s important. And don’t get behind in Latin! Draw your maps. We’ll skip the outlining in rhetoric, but read the chapters and lessons. We missed two weeks of science research for various reasons, but just jump ahead to the current topic and write your paper. Turns out, my adolescent procrastinates as much as I do—and the most overwhelming or hated tasks are the ones he puts off. We “got by” for the first semester until he had three classes within 8 days in December (due to a make-up class)—the end of the semester classes, no less—the same week as his choir performance week and then a few Christmas activities the following week when he was supposed to complete his final 1st semester work. Then Christmas. And a New Year’s birthday. And a big family vacation—a missed week of class. If momma isn’t on top of things, the kids in this house aren’t either. It’s a free-for-all. Sigh. We ended a rough week with two days of swim meet in which all three boys were competing and Russ, who was also sick, was coaching. By Sunday afternoon, we were a mess. It was time to regroup. Levi and I had a long conversation about why he was in Challenge A, why he was required to do the work. How Latin is valuable for many reasons, but the most important reason we are doing this hard work is to learn to do hard things. That if he learns nothing else in Challenge A, this skill (and character trait) will serve him for the rest of his life. 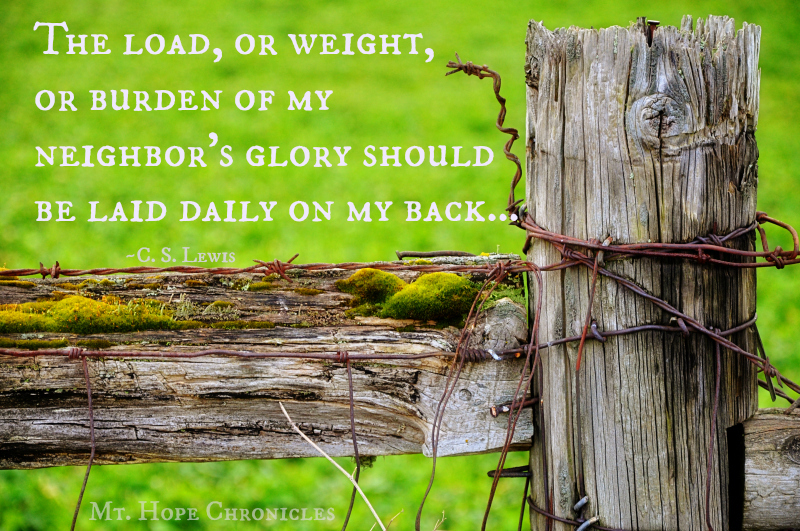 [More about doing hard things in an upcoming post.] I asked him to be willing to try. To do his best. And I told him that right answers or being smart was not the most important thing. I asked Levi what I could do to help him succeed. He asked me to be diligent about filling out his schedule with exactly what needed to be completed each day. I made a commitment to him to do just that. In return, I asked him to look at the schedule, and do his best to focus on the work on the day’s list. We made it to the Disneyland park later than we planned on the last day after spending the morning and early afternoon at California Adventure. We barely made it in time to watch the wonderful parade, and it was starting to get dark towards the end. I was disappointed not to get more pictures in the day time. 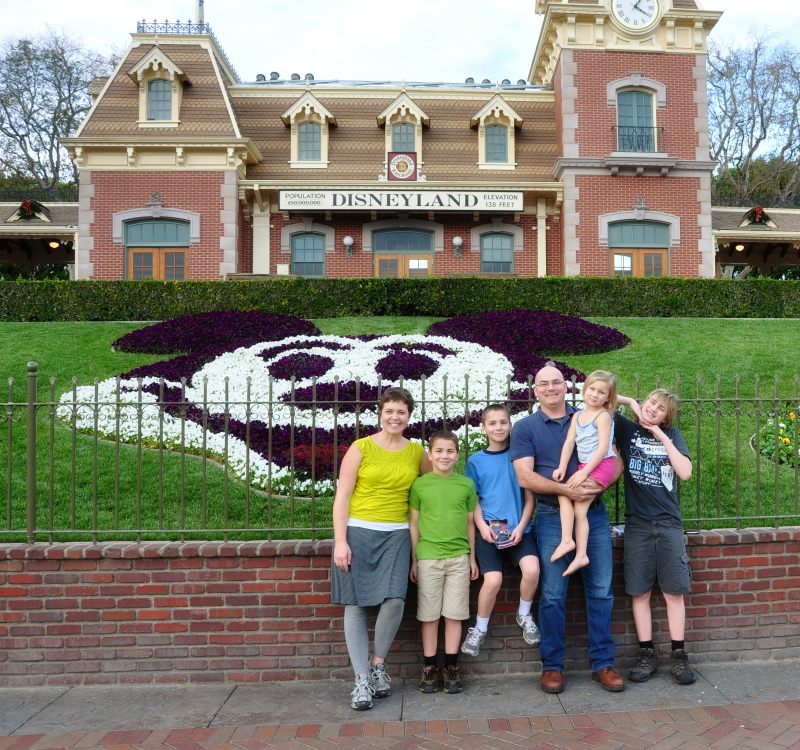 All four days I was surprised to realize just how many Disney movies the kids have not seen! The only princesses Lola knew were Elsa and Anna from Frozen. That’s not a bad or good thing—simply an observation. 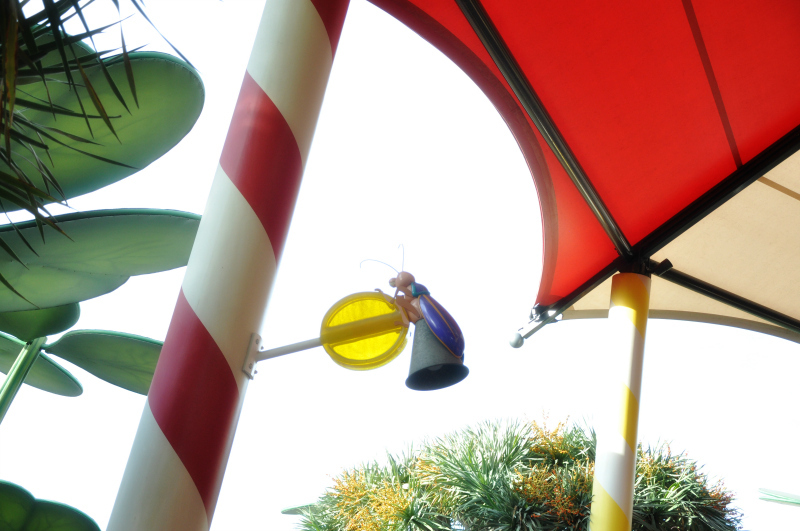 We made our way to Toontown, where we hadn’t even stepped foot yet. I truly felt we could have spent three more days between the two parks in order to see everything. Especially with a range of ages and without splitting up the family, there is simply so much to see and explore. 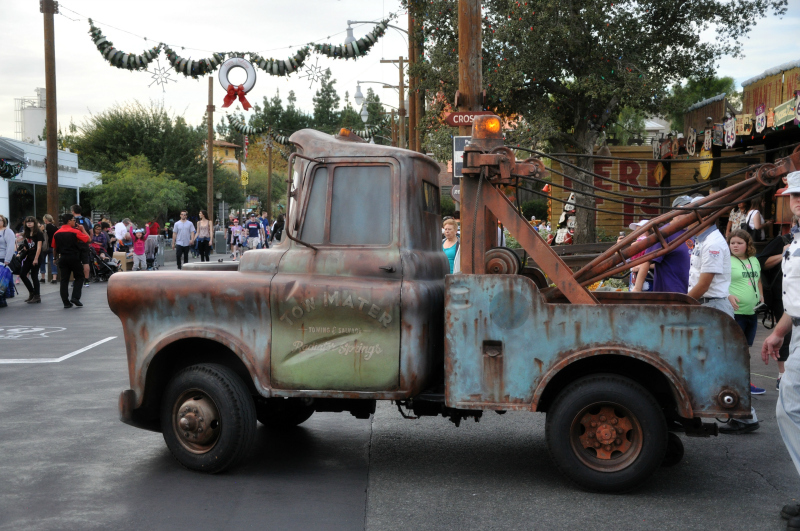 Please, remind me next time we go to Disneyland not to ride Roger Rabbit’s Car Toon Spin. It is, hands-down, the worst ride at the Disney parks. This past weekend and early week didn’t go quite as planned, but when does it? [wry grin] Recovering from vacation while being laid low with a nasty cold is proving difficult. The transition from gorgeous 75 degree sunshine to gray, wet days is tough, as well. That’s okay—we’ll adjust (and ignore the Christmas tree languishing on the front porch, seriously). I chose not to carry my camera all four days in the interest of keeping things simple and being in the moment. I did haul it around on day 4, when we visited both parks the same day. 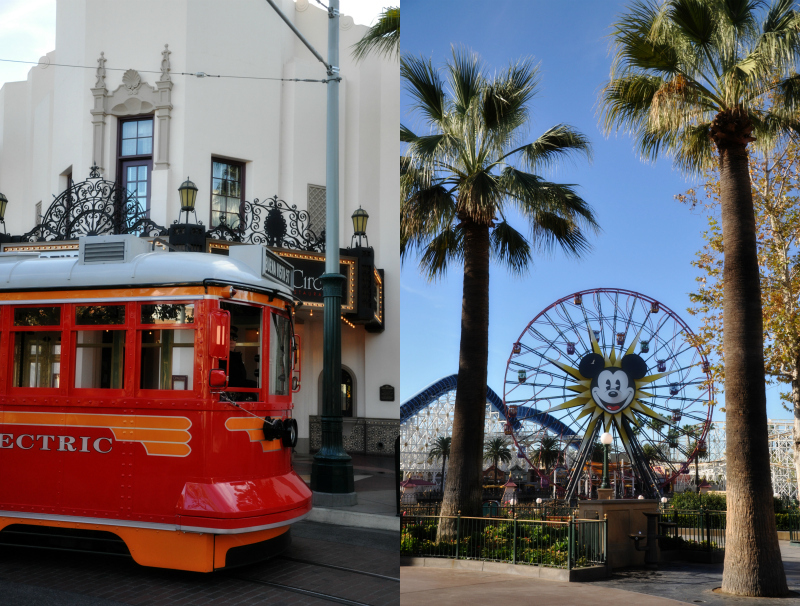 These are a small selection from California Adventure. 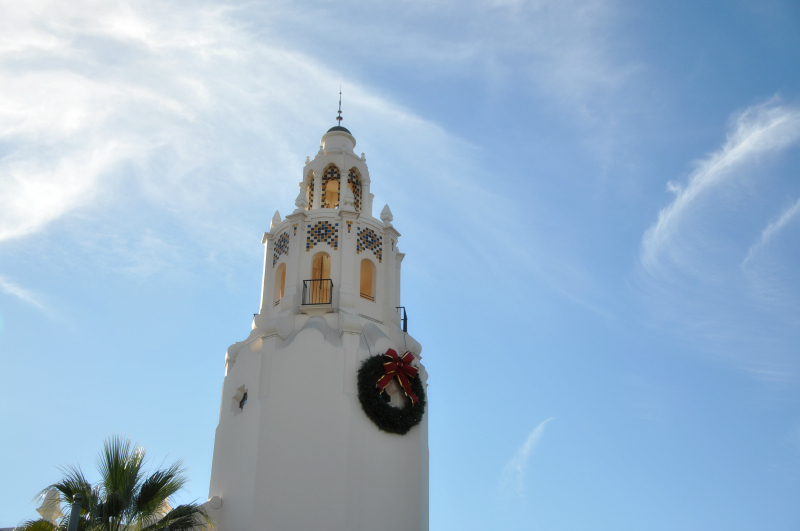 Everything was still decorated for Christmas (I’m not sure why that surprised me), and the parks were certainly not as empty as we had hoped (a whole lotta kids were missing school!). 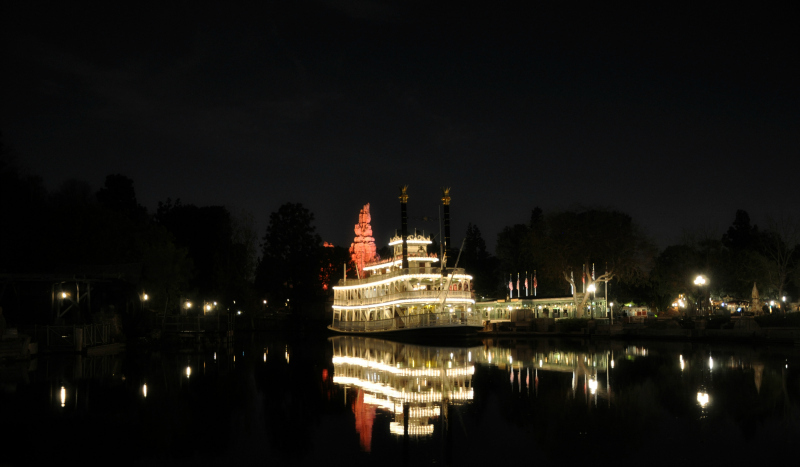 But we still avoided the huge crowds that doubtless flooded the parks over the holidays. Again, the weather was perfection. All four of the kids loved the Frozen Sing-Along show in the theater. The Aladdin show (full sets, costuming, and songs with an abridged storyline) was incredible, as was the Mickey and the Magic Map show at Disneyland. I tried to remind myself that we were watching full shows that would be events all by themselves anywhere else! 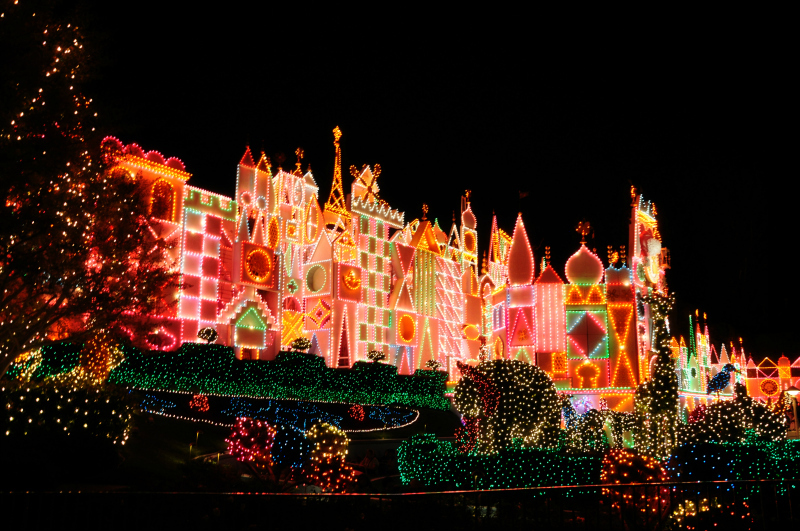 We managed to watch Mickey’s Soundsational Parade in Disneyland as well as the evening World of Color (music, lights, and water fountains) at Paradise Pier in California Adventure, but missed the other nighttime shows (because tired.). Lola and I did not like it, however, because getting soaked by cold water did not appeal to us. So we sat it out after the first run which had Lola dripping wet and crying. Lola was an amazing sport on every other ride. 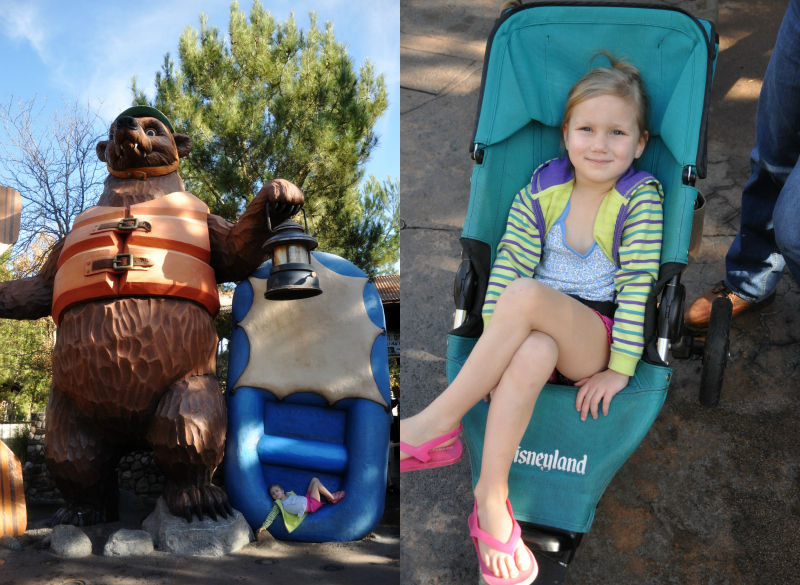 She loved Big Thunder Mountain Railroad rollercoaster, Gadget’s Go Coaster, and Radiator Springs Racers. She wasn’t tall enough for Indiana Jones or California Screamin’. I didn’t take her on the Hollywood Tower of Terror (more about that later). She didn’t go on the Matterhorn Bobsleds because we used the single rider line for that one, and she is too young to ride solo. She thought Space Mountain was scary because it was dark, but she didn’t cry and it didn’t make her apprehensive for any other ride. I wasn’t with her on Goofy’s Sky School rollercoaster, but Russ said he had to talk her through it. Of course, Russ thought he was going to die. 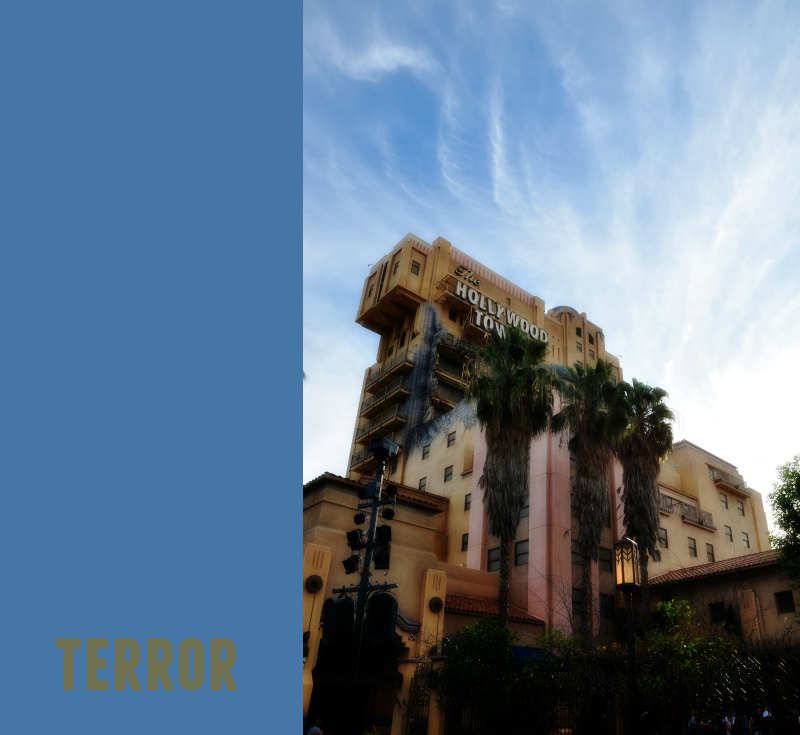 All things considered, that unassuming ride may be the scariest at the Disneyland parks! But she rode everything with enthusiasm and seemed to understand the whole standing in line routine. For the most part, she was also a fantastic sport about all the waiting for the boys. 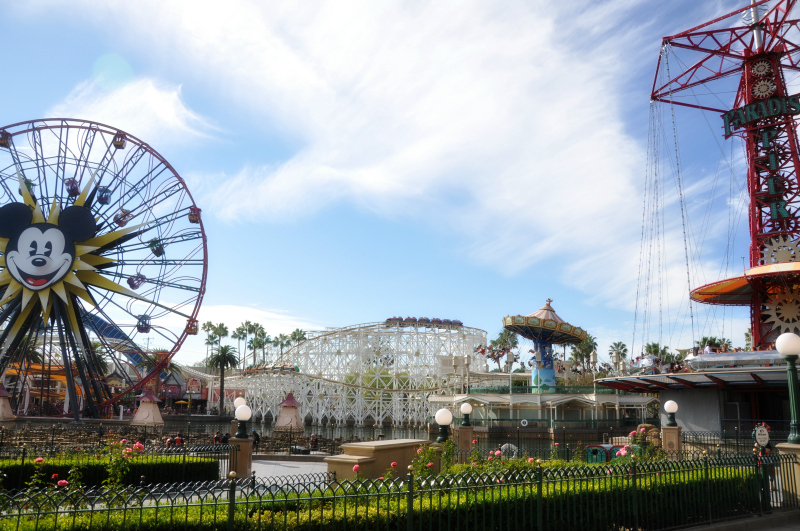 We spent a good chunk of time at Paradise Pier. Leif and Luke were my rollercoaster buddies. California Screamin’ was far and away our favorite ride. Leif was apprehensive the first time we tried it (as he always is with anything new). After that, he was game for the single rider line. I reminded him that he would be riding by himself, next to a stranger. 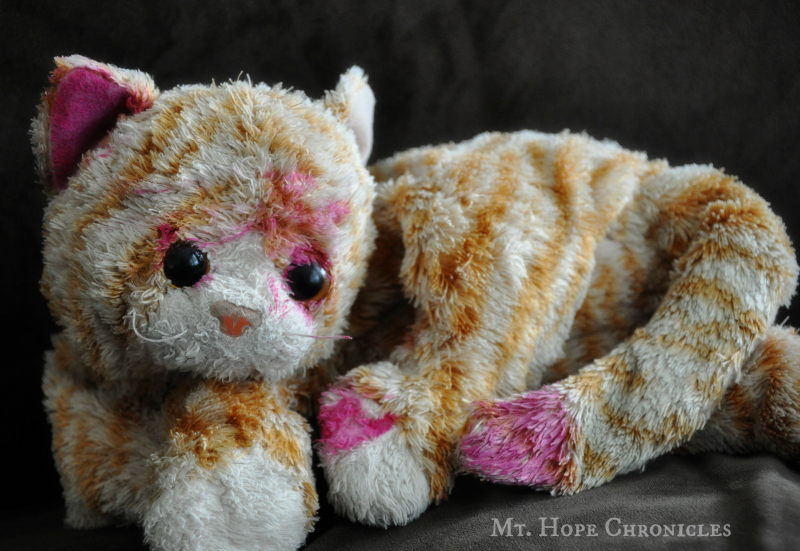 He sweetly replied, “Then maybe I’ll have a chance to make a new friend.” And indeed he did! So the three of us went several times and even managed to talk Russ (not a rollercoaster guy) into riding once on the last day. He was surprised at how much he enjoyed it. In fact, he said he would rather ride California Screamin’ all day long than ever go on Goofy’s Sky School coaster again. Ha! The last time Leif and I stood in the single rider line, we talked the whole time with a hilarious 12 year old boy from New Zealand. That kid made my day! Russ rode the Ferris Wheel with Levi, Luke, and Lola and took some pictures from high above the park. 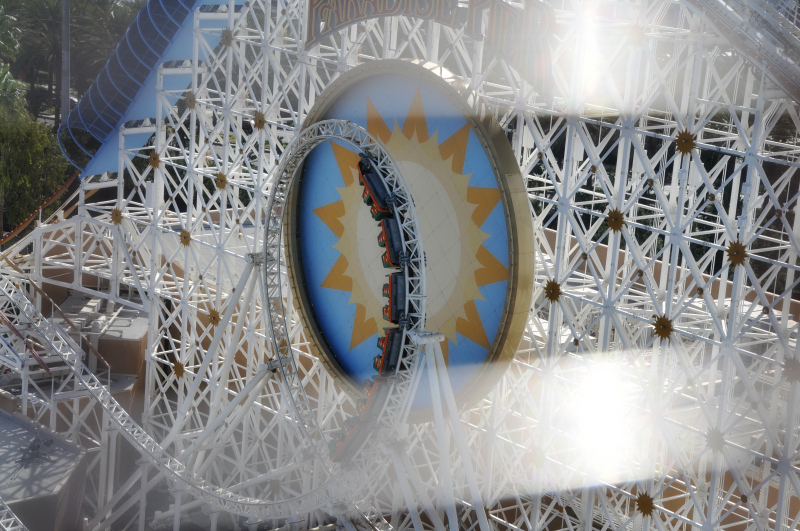 Above is the California Screamin’ loop. 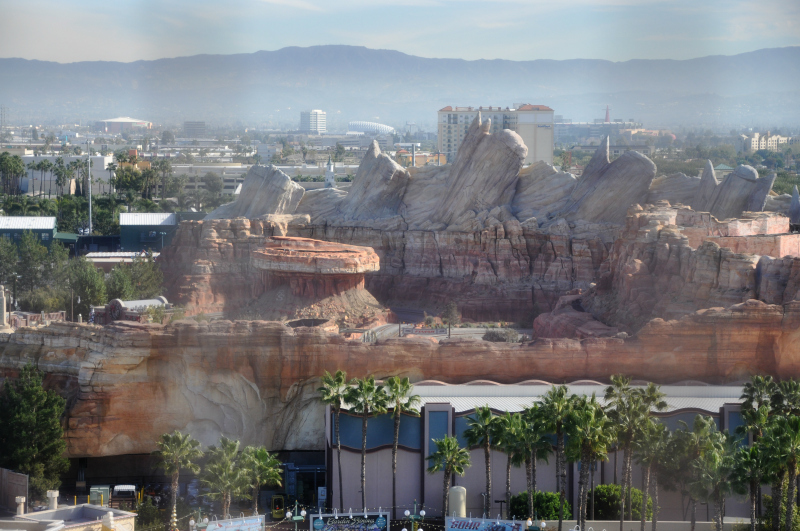 Below is the Radiator Springs Racers. I got out of riding this one last time because Luke wasn’t old enough, but I had to man up and go with him this visit. 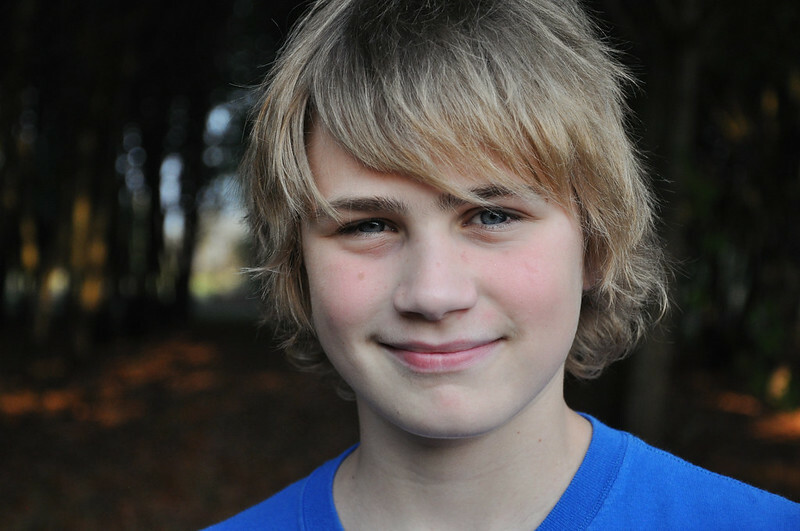 Leif said he wanted to go, almost chickened out, and then manned up as well. Leif and I are happy to say we rode it, and never do it again. 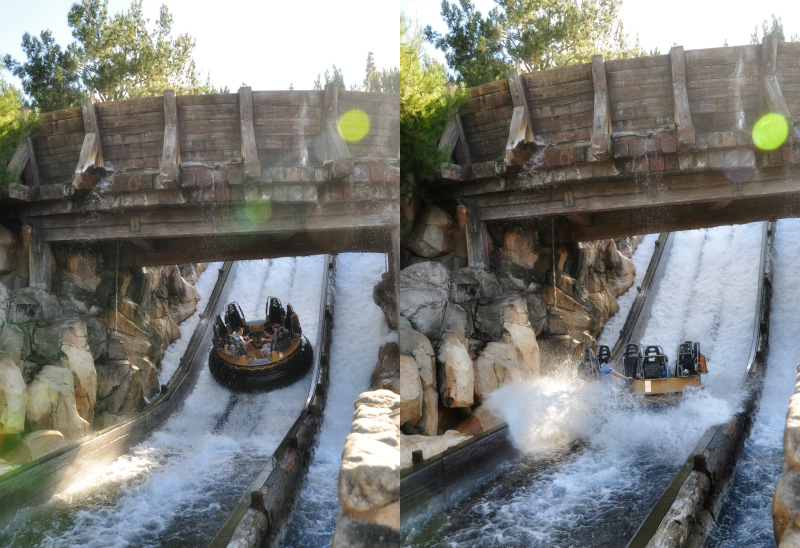 I much prefer rollercoasters to drop rides. 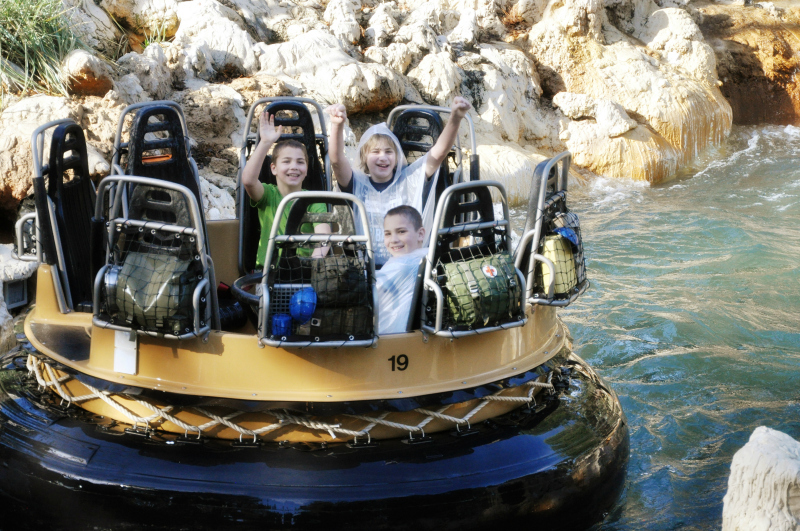 Luke, my thrill-seeker, says it is his favorite ride. 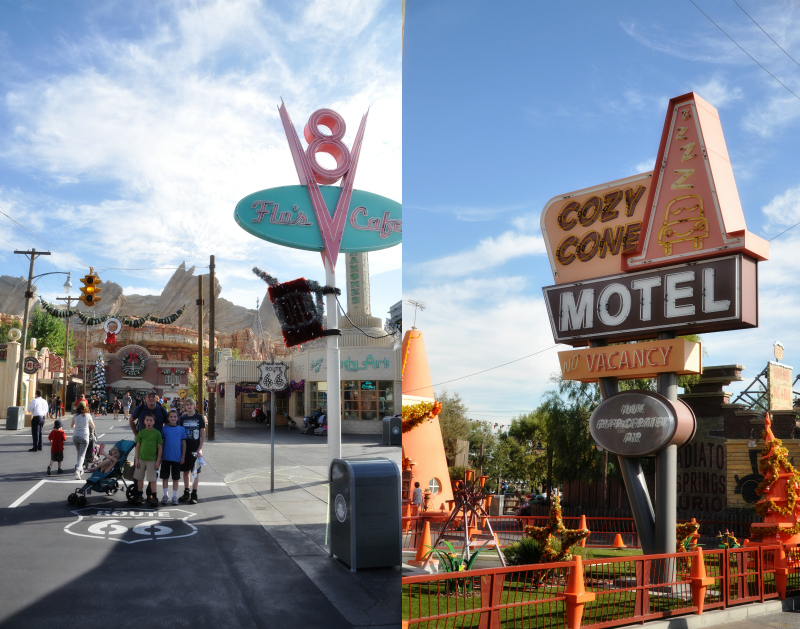 The Cars Land was so charming. We ended up eating at Flo’s Café on the last afternoon. It was our only full meal inside the parks (because $$$$.). 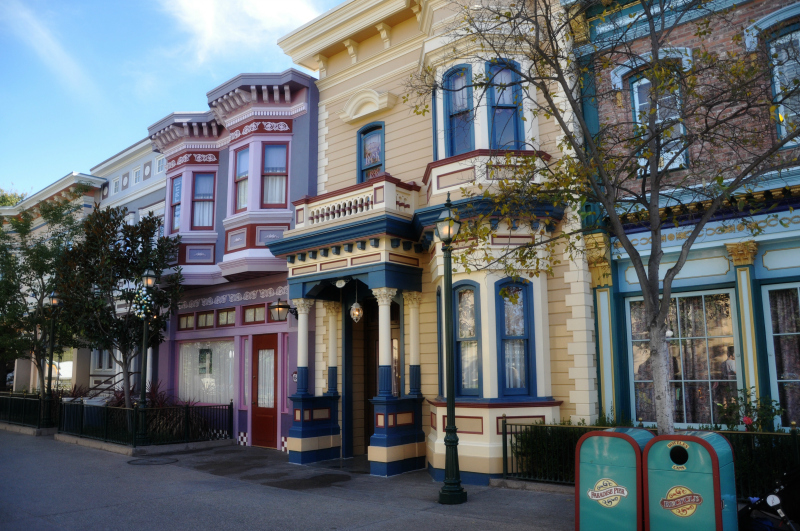 One thing about Disney parks, they are Masters of ambiance and story. 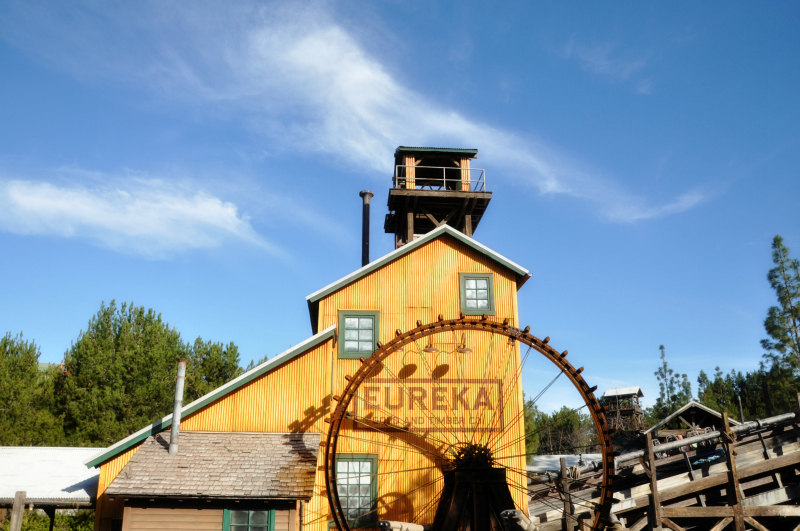 The foliage, signage, smells (including a huge variety of theme-appropriate foods), lighting, hand rails, benches, cast member costuming, garbage cans—no detail is too small, and every little thing is intentional. It blows me away, and I wish I had days to walk around taking pictures. 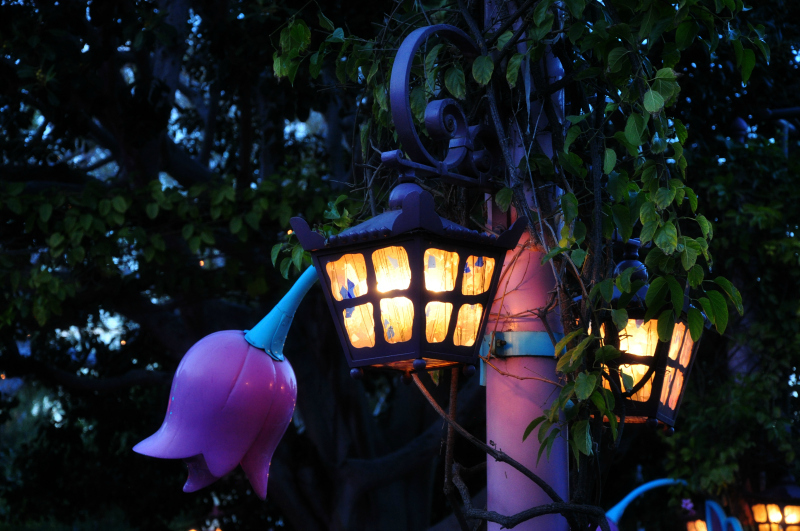 I’d love to do a collage of all the different light fixtures found around Disneyland. 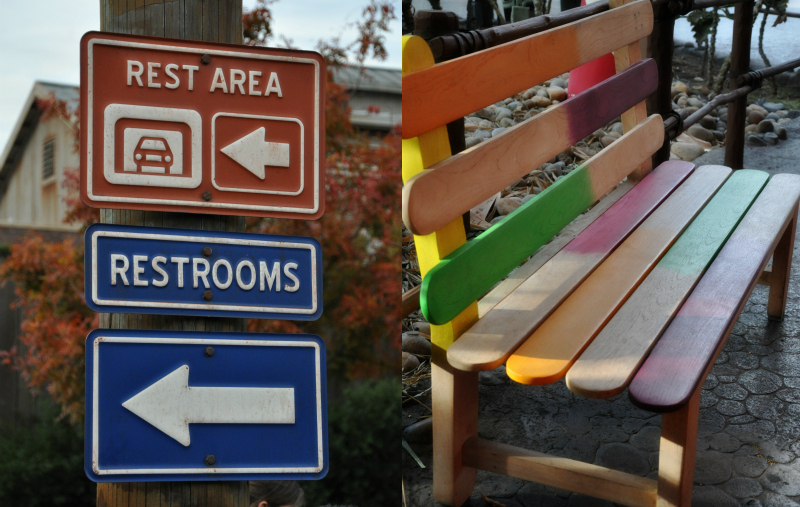 In Bugs Land, the park benches are made out of used popsicle sticks and the lights are lightning bugs on candy suckers. And the parks are super-duper clean. 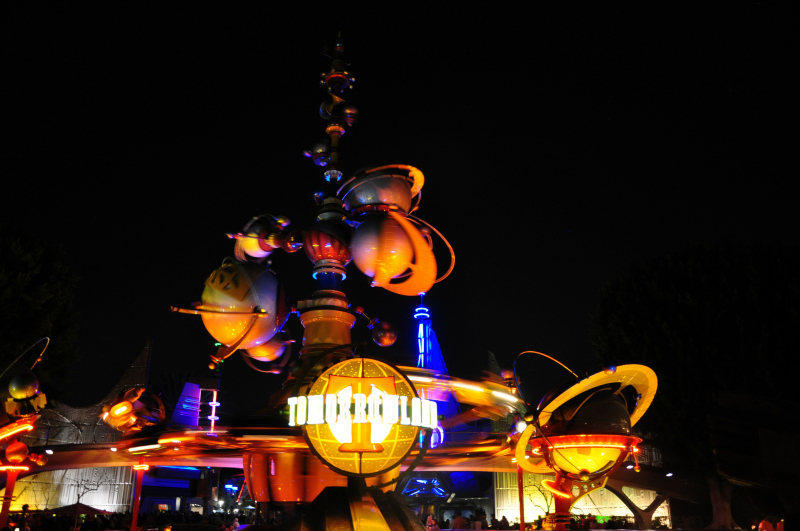 I’ll post more pictures of Disneyland when I get a chance later this week. Saturday: Packed and left town a bit before 5 pm. Drove all night. Sunday: After stopping to rest for an hour or two because neither of us could keep driving, arrived in Anaheim around 8:30 am. Parked (an adventure in itself), grabbed breakfast from the cooler, filled backpacks, changed into fresh clothes, walked into the park, picked up tickets, and began in Disneyland around 9:30 am. It was busy, and we were a tad exhausted, but we managed a full day until about 6 pm—and then we all hit a wall. We walked out of the park, had dinner at The Cheesecake Factory, checked into the hotel, unloaded all our stuff, and passed out. Monday: We didn’t manage a single early morning because we were so exhausted. 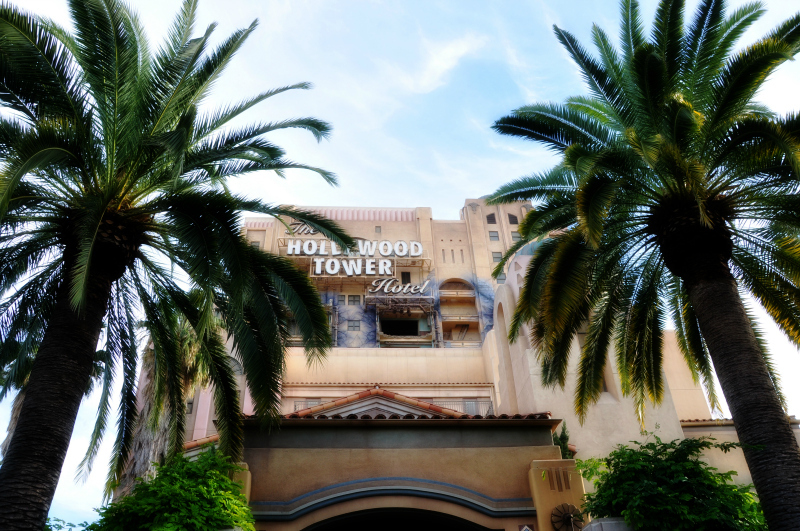 But we stayed in California Adventure for about 12 hours, had a super late supper at Denny’s, then collapsed in bed. 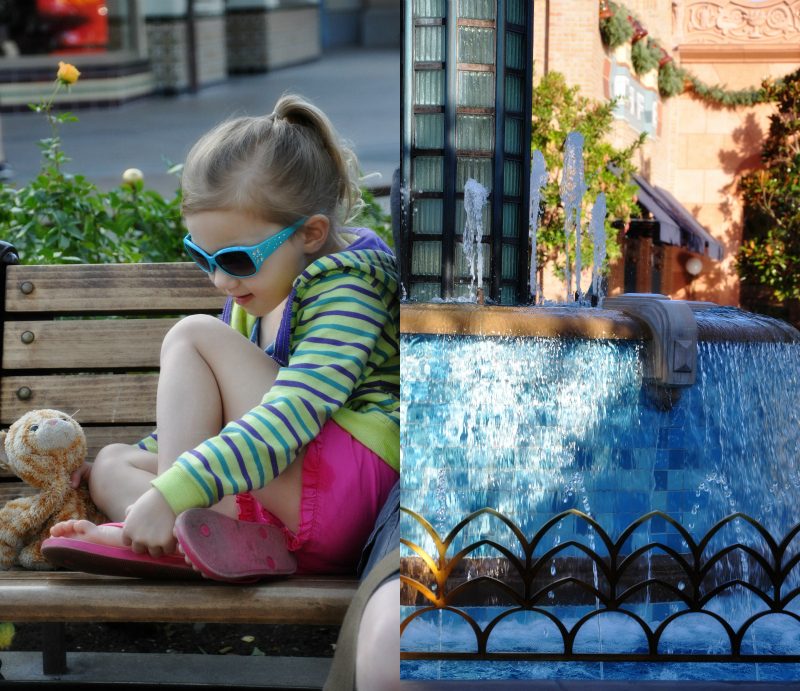 Tuesday: We spent a slightly shorter day in Disneyland, had supper outside the park around 6 pm, picked up cheesecake to-go, and spent a slightly more leisurely late evening at the hotel. Wednesday: The morning and early afternoon were spent at California Adventure (where we ate a big lunch), and late afternoon and evening in Disneyland. We broke down and rented a stroller for Lola, which was a life-saver. I was drop-dead tired by about 8 pm, so Lola and I walked back to the hotel while the boys closed down the park. Thursday: We took our time packing up and checked out just before 11 am. After a Target necessities stop and lunch at Chipotle, we left Anaheim at 12:30. And drove and drove and drove. When we arrived home at 4:30 am, we promptly fell into bed. Drive: blessedly uneventful (other than that one guy who was swerving in front of us, crossed a lane of traffic, bounced off the cement divider and kept driving), if a bit long. We had a bit of fog coming and going but absolutely no precipitation, very little road construction, no rush-hour traffic, and a completely clear pass over the mountains. Weather: absolutely gorgeous and perfect in the upper 70s. Sunshine, shorts, and palm trees. Wahoo! My childhood was simple. Idyllic, really. And simple. We lived in the country. Our social activities were school and church. We rode bikes on our empty country road. We walked through the fields. We had sleepovers (sisters and friends) in the log cabin play house my dad made for us. We spent time gardening and preserving food (picking, snapping, husking, peeling, canning and freezing) during the summers. We read books. We didn’t watch much television, and only a rare movie (almost never in a theater). We sat down as a family every evening to a home-cooked meal. We camped. A lot. Tents, pump water, and outhouses. (In the rain more than once. After all, this is Oregon.) Backpacks and no pump water or outhouses a couple times. We were a houseful of homebodies (other than the youngest—she was definitely outnumbered). But my grandparents (my mom’s parents) lived in Southern California. They drove to visit us often, and we loved their visits. They were fun, activity-driven, child-centered grandparents. My sisters and I always felt that they were our biggest fan club. They were unfailingly interested when we’d talk to them about what we were doing, what we were interested in and passionate about. They always wanted to make things happen for us, or at the very least be the loudest cheerleaders on the sidelines. A handful of times during my childhood, we made the trip down to see them. Grandma’s house. With Fruitloops. Grandpa’s house. With a big telescope for looking at the stars. Grandma’s house. With a gazillion house plants that she had rescued from imminent death. Grandpa’s house. With a globe and science experiments. We would pack a picnic lunch. Grandma would pack snacks in her voluminous purse. And we’d all drive to Disneyland for the day. All of us rode every ride. My grandparents seemed to have more fun than anyone. Grandma was always 20 feet ahead when we were walking to the next attraction, eager to see it all, as fast as possible. 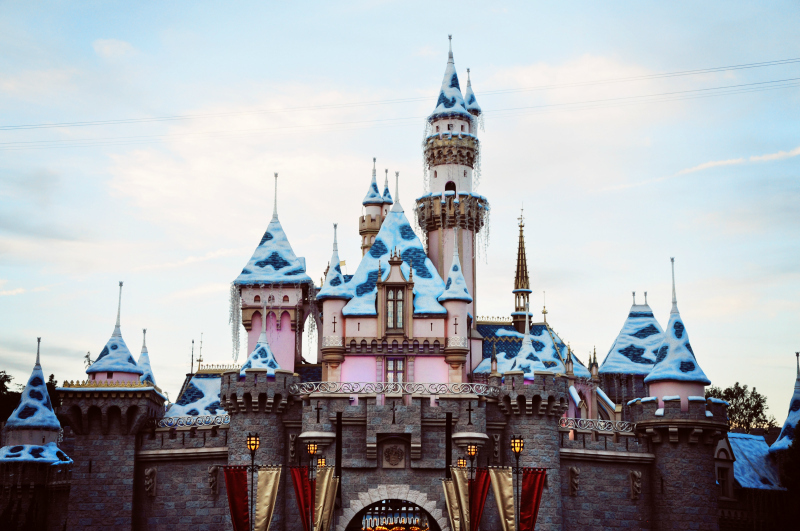 My sisters and I agree, Disneyland is one of our most favorite childhood memories. My boys have a childhood different from mine. Not completely—they live in the country just two miles from my childhood home where my parents still live—but the 5 other people in this household are extroverts, so I’m getting used to going and doing more than I did when I was little. Still, when we manage to “vacation,” it’s a couple days in Bend, Oregon (camping, at a swim meet, or possibly playing in the snow), a day at the beach, a day (or a few) in the mountains (camping or not), an educational field trip or local sightseeing. When the boys were little, we took a couple road trips. Eventually, I’d love to take the kids on a cross-country sight-seeing trip, but at these ages more than enough loveliness exists right here in our back yard (or within a couple hours) to keep us busy. 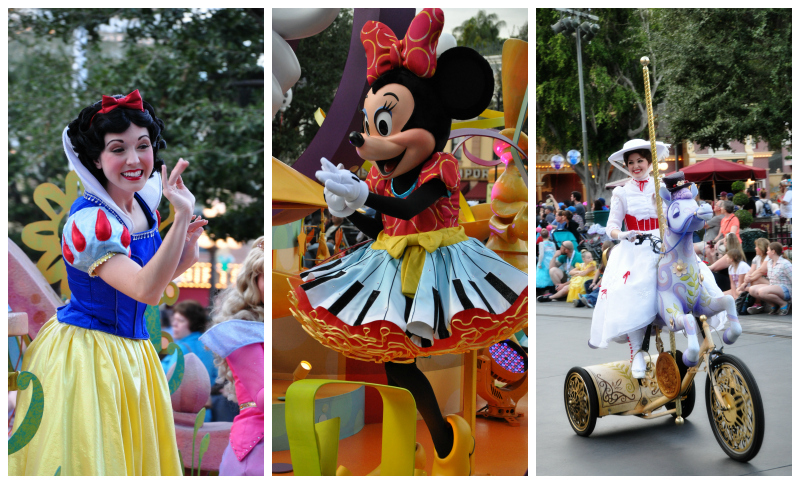 Sometimes, just sometimes, mamma craves a purely pleasure-filled trip to Disneyland. 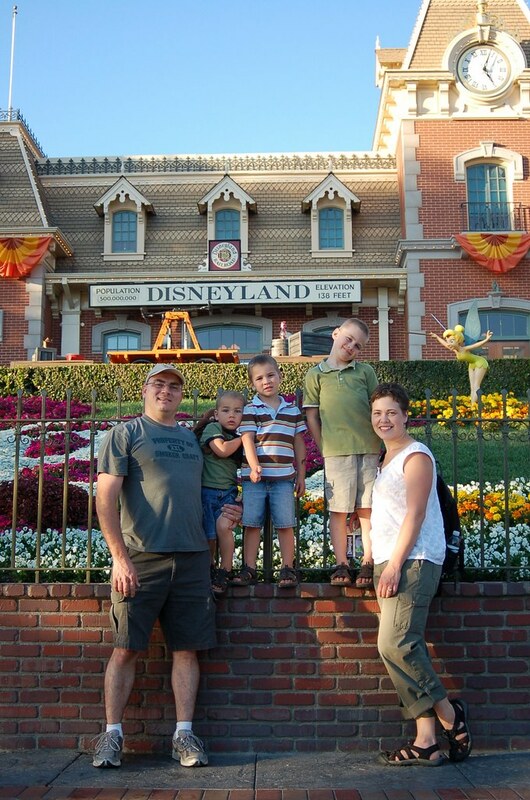 Six years ago, we took the boys, then 6, 4, and 2 years old. [photo above] We went just as I was coming out of a period of depression and anxiety, and the experience was, well, magical. We had a delightful time. Delightful. Let me repeat that. Delightful. 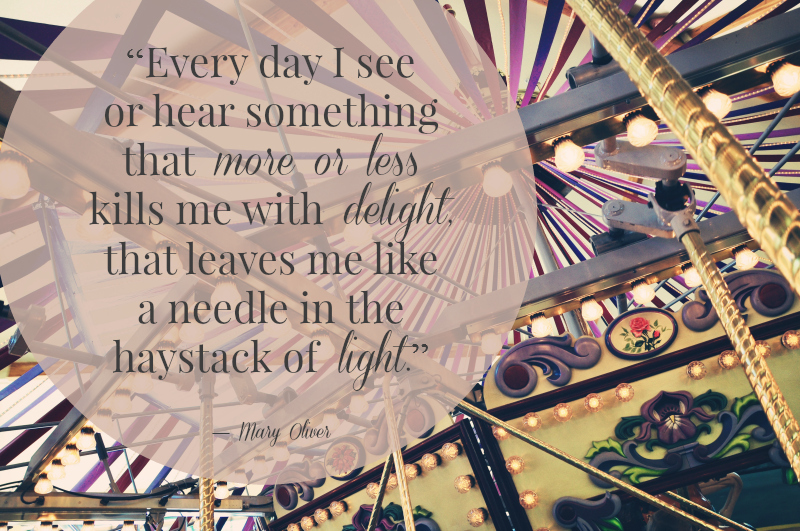 And delightful was more than I could have asked for at that point in my life, and with the ages of our kids. We haven’t taken a full family vacation, for purely pleasure, since then. For six years. I’d say it was time. It’ll still be quick. But we’re going to wring every hour of fun out of these few days. I have a teenager. That blows my mind. He’s changed a bunch this past year. No longer a childish boy, he’s all limbs and scraggly hair and dark peach fuzz. Most days, however, are wild swings between acting 2 and 20. I imagine that’s pretty typical. Levi’s my imaginative, playful son, and though getting older is inevitable, I believe he will always have a little boy soul in there somewhere. I try to do simple themes for our family birthday parties (not the elaborate detailed parties I used to dream I would put on, back when I had no kids—or when they were little and I only had a couple). This year was Harry Potter. I printed off some Hogwarts Crest and a Design Your Own Crest coloring pages from Activity Village UK. I know Levi’s a little old for coloring pages, but I thought some of the other kids might enjoy them (younger siblings, cousin, friends). Turns out Levi’s the only one who colored one that evening, because he enjoys drawing and using colored pencils and the design appealed to him. I used the butterbeer ideas from Bakingdom, and improvised a little. I’m all about making things simple. I just used cream soda, a smidge of butter flavoring, and plain whipped cream. [I also had regular rootbeer and ice cream, so that guests could choose to make a rootbeer float instead.] Levi loved the butterbeer. These cauldron cakes are simply adorable, but I cheated and just used black cupcake wrappers and a butterscotch candy. I got the idea to make snitches at this site. I wandered around the craft store looking for just the right thing. I found little wooden knobs, had Russ drill the holes all the way through, painted them gold with craft paint, and added the ribbon. They were a huge hit (and my personal favorite). 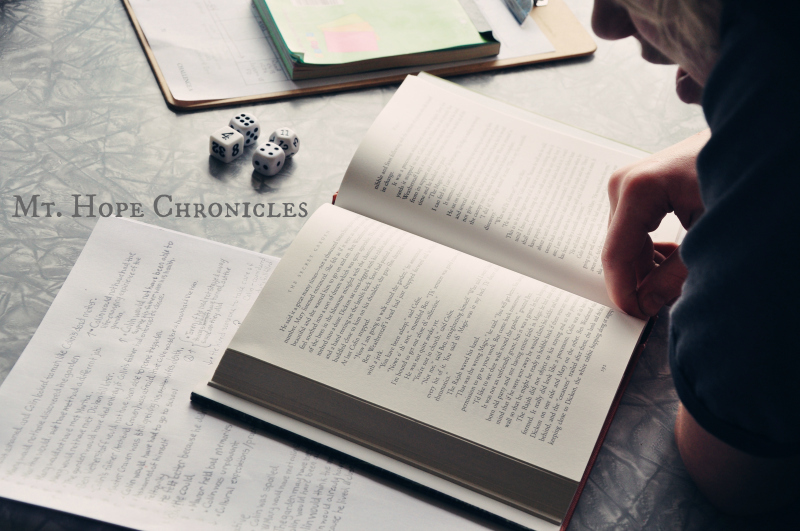 My amazing friend Brandy at The Prudent Homemaker did a gorgeous Harry Potter birthday party for her son, and that’s where I got the idea of the banner and printing the short prequel by Rowling as well as the train tickets. My lack of adequate planning and last-minute prep caused a bit of a problem when a few things I ordered from Amazon didn’t make it in time (estimated arrival time was December 31st, but they didn’t show up until today, January 2nd). Sigh. I had a little something different planned for the cake, but I made a little banner out of the paper scraps from the larger banner. It worked. Harry Potter Bertie Botts Every Flavor Beans showed up late. We’ll have to deliver them. Ha! Chocolate gold coins made perfect gold galleons (if you don’t pay any attention to the markings on them…). Yep, that pretty well sums him up.